CMT have developed a router bit for use with aluminium with a single flute. These bits spiral bits feature an upcut design for superior chip ejection and a high quality finish on all types of aluminium. 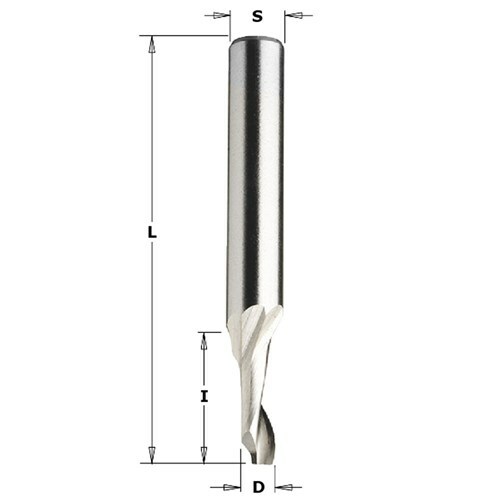 1 upcut spiral cutting edge.